When you enter you will then be required to register, upon doing so, you will receive an email, please click the link to confirm yourself as a user. You will then be able to complete your entry. You may return at any point using your login credentials to manage your account and modify your entry until to closing date. Click to download the full list of category criteria here. Entries have now closed. Thank you to everyone who took the time to enter this year. New for 2018, the Bodywork Innovation of the Year Award seeks to recognise either a bespoke build or a new product line innovation from a manufacturer or bodybuilder supplying to commercial vehicle operators. The judges will want to see evidence of problem-solving, either in an existing product line or of a specific problem for a customer. The judges will also look for evidence of the practical application of the bodywork innovation, primarily through quantifiably improved customer efficiencies or improvements to health and safety for the operators and/ or the general public. Customer testimonials would be welcome in this category, as would photographic evidence of the bodywork innovation itself. Entries should be no more than 1,000 words, not including testimonials. New for 2018, and inspired by entries in previous years, the Customer Service Award looks to recognise outstanding levels of care, delivery and support for customers supplying vehicles, trailers, parts or maintenance to operators of commercial vehicles. 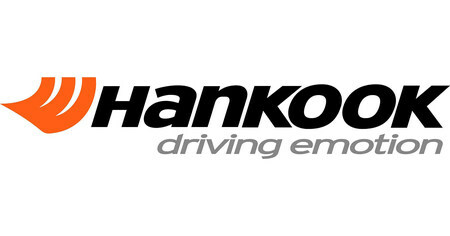 The judges will look for evidence of outstanding levels of customer service – be it in levels of vehicle uptime, above industry-average inspection pass rates, solving a problem for a particular customer or going above and beyond business as usual to meet the commercial vehicle fleet needs of a client. The judges will especially want to see customer testimonials, which will remain anonymous outside of the judging panel, be it a single case study or from numerous customers – with no weighting given to either option. New for 2018, the Forecourt/ Showroom of the Year is a showcase for the outstanding display of commercial vehicles either in forecourt or showroom setting. The judges will look for investments made in the display of stock and the commercial benefits to the business as a result of investments in design and settings. The judges would welcome entries that show commercial vehicles in a clean, professional and modern setting, that has benefits to customers as well as to the franchised or independent dealership, auction house or rental, leasing and contract hire supplier. Photography would be preferred as part of the entry, as would evidence of the benefits to the business and customers in maximising the display potential of stock in a forecourt or showroom setting. Entries should be no more than 1,000 words, with a maximum of 10 photographs. The Service to Industry Award recognises an individual for a lifetime of service, innovation and leadership in the sale and support of trucks, trailers and vans to commercial vehicle operators. Nominations for this award would be welcomed by the Commercial Motor Awards judging panel for consideration. Judges will look for evidence of a deep technical understanding behind the product ranges supported by the dealer, and would welcome evidence of test lane utilisation rates or delivery rates of manufacturer backed repair and maintenance programmes. The Commercial Motor Awards are seeking nominations for Dealer Principal of the Year, in order to recognise the achievements of an individual that has led success in either a franchised or independent, new or used, HGV dealership. 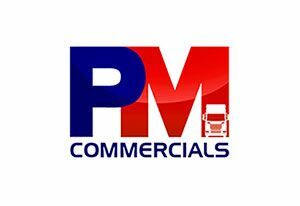 We’re looking for someone that has made a huge difference to a commercial vehicle dealership, getting results. They must also be a real people person, having built a strong team around them as well as strong relationships with customers. Jut tell us who and why this individual stands head and shoulders above their peers. All nominations are gratefully received, with the winner selected at the discretion of the CMA judging panel and chair.